RockQuest Promotions has been announced the host of a new performing arts event which will replace Stage Challenge. Ahikāroa, Ep 80 How Could you? (AO) Ahikāroa, Season Finale: Te Pā is thrown into chaos when Smooch’s biggest secret gets leaked online for everyone to see- including Geo and Hemi. (AO) Ahikāroa, Geo receives a devastating phone call on her way to the airport. Tipene and Smooch clash in a heated argument over Geo. (AO) Ahikāroa, Tipene let’s his jealousy get in the way of his relationship with Geo. Maru starts to dream of a life outside of the gang. (AO) Ahikāroa, Amos shows up at Felicia’s tangi, causing upset and confusion for her grieving sister, Smooch. (AO) Ahikāroa, Aaron releases Smooch’s private information online in an attempt to get back at her. Smooch finds out some heartbreaking news that turns her world completely upside down. (AO) Ahikāroa, Smooch catches Felicia with the last person she expected. 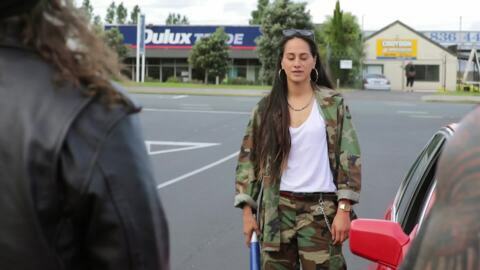 Everyone is excited for Geo’s trip to Canada except her boyfriend, Tipene. Chantelle settles into her new life at Te Pā. (AO) Ahikāroa, Geo gives an earnest speech at the iwi mixer event, catching the attention of another scholarship recipient. (AO) Ahikāroa, Hemi and Chantelle have a hui with her dad to plead their case but is he ready to listen? Felicia surprises Smooch with some good news.